This series of high efficiency, wide input range, encapsulated regulators come in 85 different models. 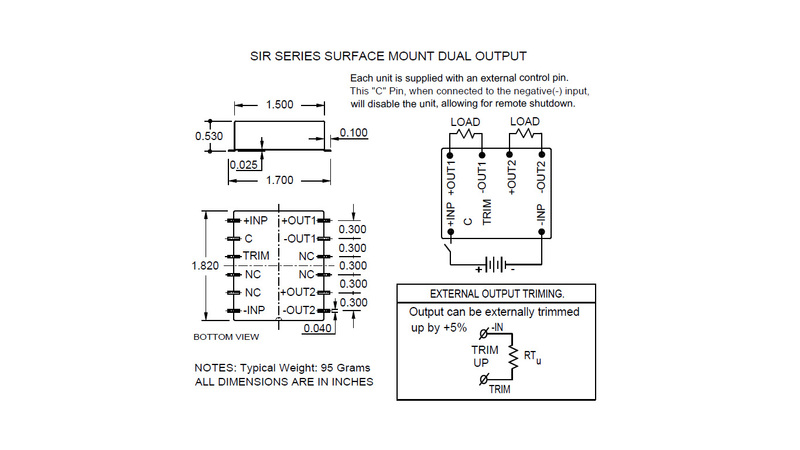 These units feature a 500 VOLT DC input to output isolation in both single and dual output models. The SIR Series will operate over a temperature range of -25º C TO +70º C with no heat sink or electrical derating. 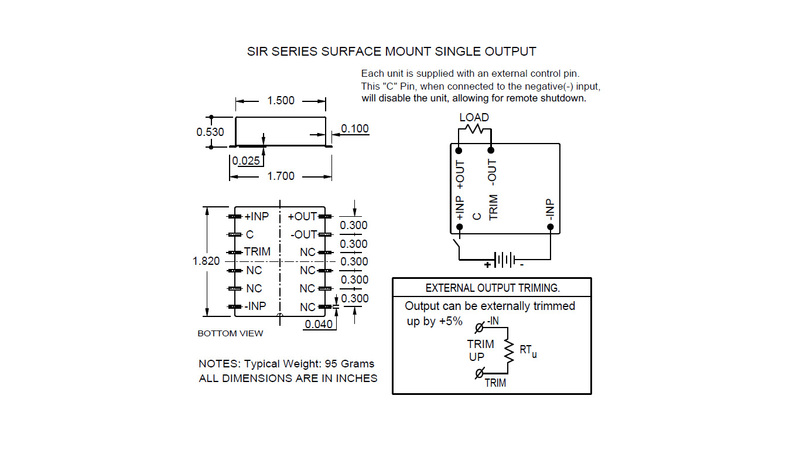 These units are excellent for applications where input voltage varies dramatically, yet a high efficiency and output voltage regulation must be maintained. Will operate over a temperature range of -25º C to +70º C with no heat sink or electrical derating.